“Recipe lete hue aana” (bring back the recipe). 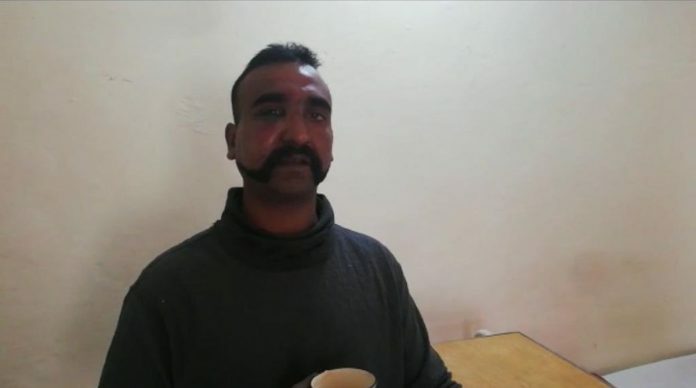 That’s what Tanvi Marwah said when her husband, Wing Commander Abhinandan Varthaman, joked about the tea he was served in the custody of Pakistan’s Inter-Services Intelligence, writes Snehesh Alex Philip. India has about 20 strong state leaders, whose voters no national leader can take away. Even Modi & his oratory can’t swing a majority in more than 7 states, writes Shekhar Gupta. Haryana’s Inspector General of Police Hemant Kalson was removed after he allegedly fired in the air with a constable’s semi-automatic gun outside the Circuit House in Tamil Nadu. He was allegedly in an inebriated state and caused a stir in the area, reports Chitleen K. Sethi. A young, former comrade from JNU, is the one writing Congress president Rahul Gandhi’s speeches, and is known to have Gandhi’s ears on the issue of alliances too, reports Neelam Pandey. There are two battles that are separated in time by almost 80 years and in space by 1,700 km — the Battle of Saragarhi(1897) and the Battle of Koregaon Bhima (1818). But, only one of them got a film, Kesari, featuring Akshay Kumar, writes Dilip Mandal. Nearly 2,000 years before Francis Bacon, a little-known Indian man called Payasi did perform a series of memorable scientific experiments, writes C.K. Raju. An IFS officer knew that he shared a unique bond with Mother Nature, but he had no inkling that one day he would play an instrumental role in reviving the socio-economic and environmental fortunes of Sikkim, writes Rinchen Norbu Wangchuk.